Walk-in, Call or Schedule An Appointment At Our Tempe, AZ Location Today! High blood pressure, also known as hypertension, can easily go unnoticed in men. While some people find that lifestyle changes alone are enough to control their high blood pressure, your healthcare physician may recommend certain medications to keep your condition under control. At the Men’s Vitality Center in Tempe, we’ve helped hundreds of men across Texas control their blood pressure levels and enhance their quality of life. If you need help managing your high blood pressure, contact our men’s physicians today to schedule an appointment. High blood pressure is a common condition among men that can occur over the course of time without any obvious signs or symptoms. Each time your heart beats, blood is being pumped through your arteries and veins. When your blood pressure levels are high, the force exerted by the blood being pumped inside of your arteries can overload your circulatory system and lead to a heart attack, stroke and even death. The best way to know if your blood pressure is high to schedule an appointment with one of our men’s wellness physicians. 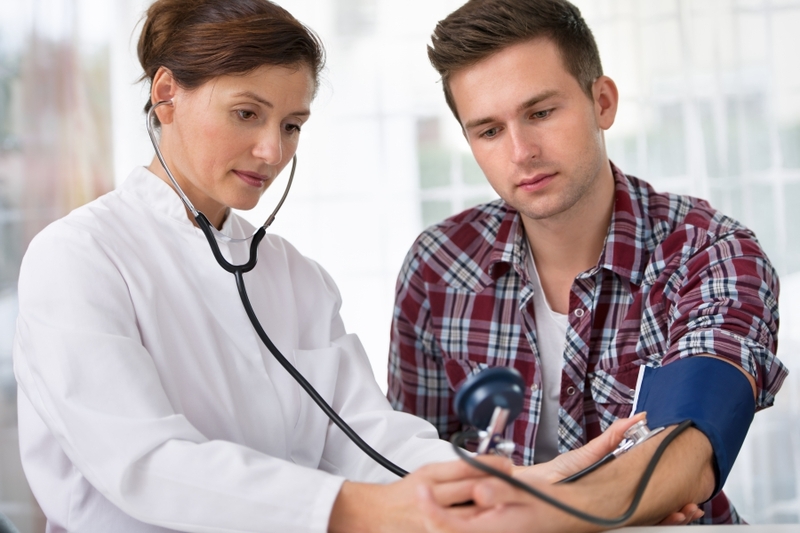 Once we complete a thorough physical examination, we’ll be able to determine your risk of hypertension and will recommend the most appropriate treatment solution for you. In order to control high blood pressure, your men’s wellness specialist may recommend a variety of lifestyle changes and medications. Some of these lifestyle changes may include regular exercise, weight loss and maintaining a healthy diet. If you’re ready to lower your risk of heart attack, heart failure and sexual dysfunction, contact our hypertension experts today.